Homes are not selling as quickly as they once had been. This can be a problem if you need to move quickly. Sometimes this happens when someone accepts a job in a different state. If you are in this situation, you may be wondering what you can do with your unsold home. 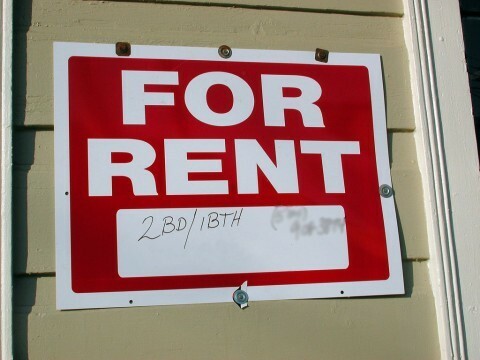 To keep yourself from losing money each month, you may want to consider renting your home. This will allow you to keep your current home until the market price increases. It also gives you the opportunity to find a home that you love and take advantage of the current lower prices. The first question to ask yourself is if you have the temperament to be a landlord. Can you sleep knowing someone else is in your home? How will you feel if they are struggling with money and can’t make rent? When renting a property, you have to be objective. This is a business transaction and not a personal relationship. Think about how you will respond in a tough position. You will also need to consider what rental price you are willing to accept. To do this it is best to look at various real estate websites to find out the rental price on similar rental properties in that area. Many times people hope to get a tenant that will pay the entire cost of the mortgage. Now, in some areas, this is very possible. In other areas, you may want to consider a slightly lower price in order to get the property rented. Once you have considered the above questions, you may wonder where you find tenants. One of the most frequently used sources is Craigslist. It is free to post, and your listing can be updated as needed. You could also hire a realtor to put your rental property online for you. After you find a tenant, there are two ways to go: (1) You can manage the property yourself, or (2) hire a realtor to take on those responsibilities. In my opinion, if you have the money to hire a third party, you should. They are more objective and are familiar with the eviction process. Many people charge a lower pet deposit in hopes that someone will rent their home. These fees are typically non-refundable. What I would do is charge a higher fee that is fully refundable. This will motivate them to ensure that the pets do not make a mess in your home. When you are renting out your home, it is a good thing to know the neighbors. Your neighbors can clue you in if something suspicious is going on in your home. Our guest contributor, Monte Mohr, has been a realtor for over 25 years and has helped over 2,000 families buy or sell a home successfully. He helps people with real estate all over the Nashville area. If you’re looking for a new home, stop by Monte’s Nashville Real Estate Blog to find helpful advice as well as an easy way to search for real estate for sale in the area.